SNOW ALGAE + STEM CELLS + PEPTIDES Advanced Perfecting Concentrate is an intensive treatment which combines a unique blend of specially selected award winning ingredients to revitalise dull-looking and lifeless skin in need of moisture and a smoother, more lifted appearance. Each clinically proven ingredient works in synergy to deliver unparalleled results in as little as 5 days. You will experience significant improvement in skin’s quality and texture as well as restored youthful radiance. Advanced Perfecting Concentrate will work to instantly smooth the look of deep lines and wrinkles, increasing the skin’s ability to retain moisture over time, resulting in a fresh and fabulous new look. 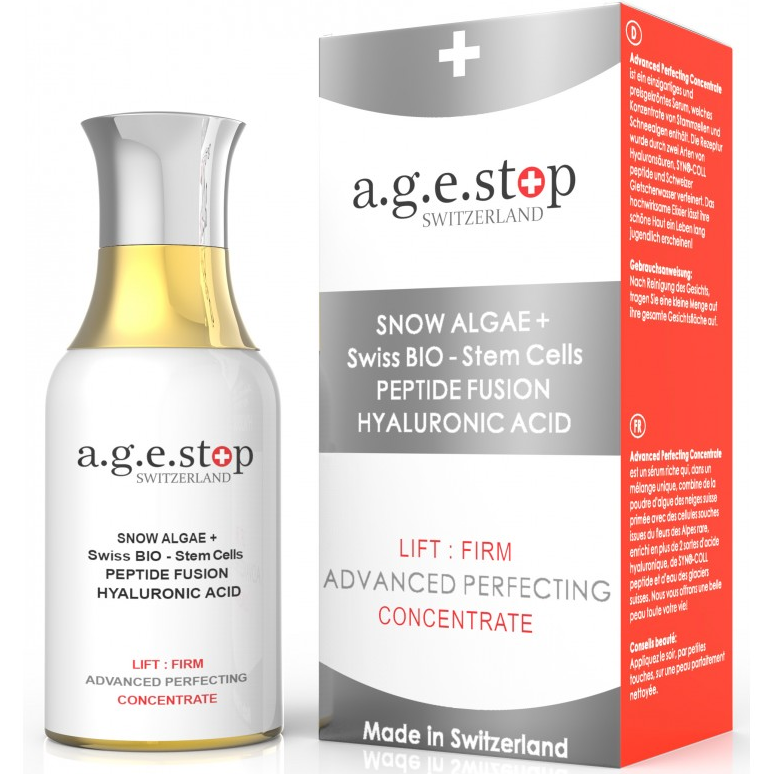 Stem cells of rare Alpine plants (Nunatak and Edelweiss) will quickly make your skin smooth, refined and radiant. Results are cumulative with continued use. > Increases anti-ageing processes in the skin cells by (+47%). > Clinically proven to promote the longevity of skin cells. > Strengthens dermal connective tissues by 30.5%. > Inhibits collagen destruction in ageing skin cells by up to 47%. > Increases anti-ageing processes in the skin cells by (+40%). > This product is guaranteed to have at least 1000 000 Edelweiss Flower Stem Cells. > Strengthens dermal connective tissues by 35%. > Inhibits collagen destruction in ageing skin cells by up to 58%. > Significant increase in skin hydration and a reduction of wrinkles by 30% in 20 days. > Improve skin hydration by 45.5%. > Increases anti-ageing processes in the skin cells by (+31%). > Significant increase in skin hydration and a reduction of wrinkles by 20% in 10 days. > Actively removes any type of wrinkles within 84 days. > Works to repair damaged skin tissues. > Promotes a firmer and younger appearance of skin. > Clinically proven to significantly increase skin hydration. > Significant reduction of wrinkles by 45% in 14 days. > Clinically proven to improves skin's texture and diminish fine lines and wrinkles by 19% in 8 weeks of use. 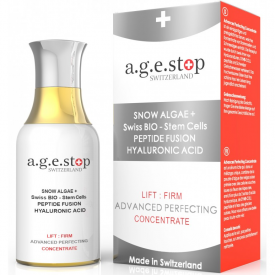 > Liposomal preparation of Swiss Glacier Water delivers superior hydration (+47%). > At the height of more than 4000m, in a spectacular high alpine setting of Swiss Alps, Glacier water begins its year-long journey during which it is filtered and naturally enriched with a multitude of precious minerals and unique trace elements. * Option* 1 (Standard) - Concentrate Lift:Firm. * Option* 2 (Prestige) - Concentrate Lift:Firm > Oxygen Mask. * Option* 1 (Standard) – Hydro:Fresh Essence > Concentrate Lift:Firm > (Oxygen Mask can be added if necessary). * Option* 2 (Prestige) – Hydro:Fresh Essence > Concentrate Hydro:Repair > (Oxygen Mask can be added if necessary). * Option* 1 (Standard) - Concentrate Hydro:Repair > Day:Night Cream. * Option* 2 (Prestige) - Hydro:Fresh Essence > Concentrate Hydro:Repair > Day:Night Cream > Oxygen Mask. * Option* 1 (Standard) - Hydro:Fresh Essence > Concentrate Lift:Firm. * Option* 2 (Prestige) - Hydro:Fresh Essence > Concentrate Lift:Firm > Oxygen Mask. 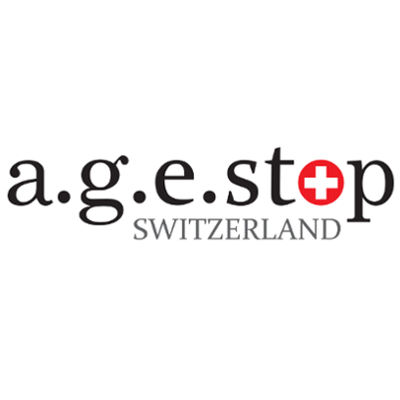 AQUA (SWISS GLACIER WATER), PROPANDEDIOL, GALACTOARABINAN (LaraCare - PLANT COLLAGEN), 1,2-HEXANEDIOL, GLYCERIN, ACRYLATES/ALKYL ACRYLATE CROSSPOLYMER, DISODIUM EDTA, SODIUM HYALURONATE (HYALURONIC ACID), HYDROXYETHYLCELLULOSE, PEG-40 HYDROGENATED CASTOR OIL, PARFUM, BENZYL ALCOHOL, DEHYDROACETIC ACID, CHLORPHENESIN, SAPONARIA PUMILA CALLUS CULTURE EXTRACT (PhytoCellTec Nunatak®), ISOMALT, LECITHIN, SACCHARIDE ISOMERATE (PENTAVITIN®), CITRIC ACID, SODIUM CITRATE, COENOCHLORIS SIGNIENSIS EXTRACT (SWISS SNOW ALGAE), MALTOTEXTRIN, CHONDRUS CRISPUS EXTRACT (RED SEAWEED EXTRACT), LITHOTHAMNION CALCAREUM EXTRACT (RED MARINE ALGAE EXTRACT), PAMITOYL TRIPEPTIDE-5 (SYN®-COLL), PENTYLENE GLYCOL, TAMARINDUS INDICA SEED GUM(Unitamuron H-22 -VEGETABLE HYALURONIC ACID), BUTYLENE GLYCOL, CARBOMER, POLYSORBATE 20, PALMITOYL TRIPEPTIDE-1, PALMITOYL TETRAPEPTIDE-7 (Matrixyl 3000), ACETYL HEXAPEPTIDE-8 (Argireline®), CAPRYLYL GLYCOL, HYDROLYZED MANIHOT ESCULENTA TUBER EXTRACT (INSTENSYL®), PHENOXYETHANOL, ETHYLHEXYLGLYCERIN, LEONTOPODIUM ALPINUM CALLUS CULTURE EXTRACT (EDELWEISS STEM CELLS), XANTHAN GUM, SODIUM HYDROXIDE, SODIUM LACTATE, MICA, CI 77891 (TITANIUM DIOXIDE), CI 60730 (VIOLET 2). "Q: HOW LONG BEFORE I WILL NOTICE VISIBLE RESULTS? A: Typically our clients recognize visible results immediatly due to the high concentration of active ingredients in the formula. This product plumps up the skin and reduces wrinkles quickly. You will start to notice more results within 5 to 14 days. Q: ARE THERE SIDE-EFFECTS? A: There are no side-effects. All ingredients are either natural or clinically proven to be safe. Q: DOES THIS WORK ON ALL SKIN TYPES? A: Yes our advanced products work on all skin types. Dry to Oily and Light to Dark pigmented. Q: CAN THIS PRODUCT BE USED WITH OTHER PRODUCTS? A: Yes you can use our products with your regular daily regimen." Currently sold out but is not discontinued. They have had a big give away on facebook and that is where I got my sample so maybe used up all their stock. I am really impressed with this one. I can almost feel it working as it is slightly tingly on my lips area. I would buy this in the future s i have been so happy with my sample. "From their website "Q: HOW LONG BEFORE I WILL NOTICE VISIBLE RESULTS? A: Typically our clients recognize visible results immediatly due to the high..."